The Iditarod just made some big changes to the rules. Among them: A musher may be out of the race if a dog dies. Mushers who have a dog die during the Iditarod Trail Sled Dog Race will be out of the race that year, unless the death "was caused solely by unforeseeable, external forces," according to a rule change approved by the Iditarod governing board Friday. 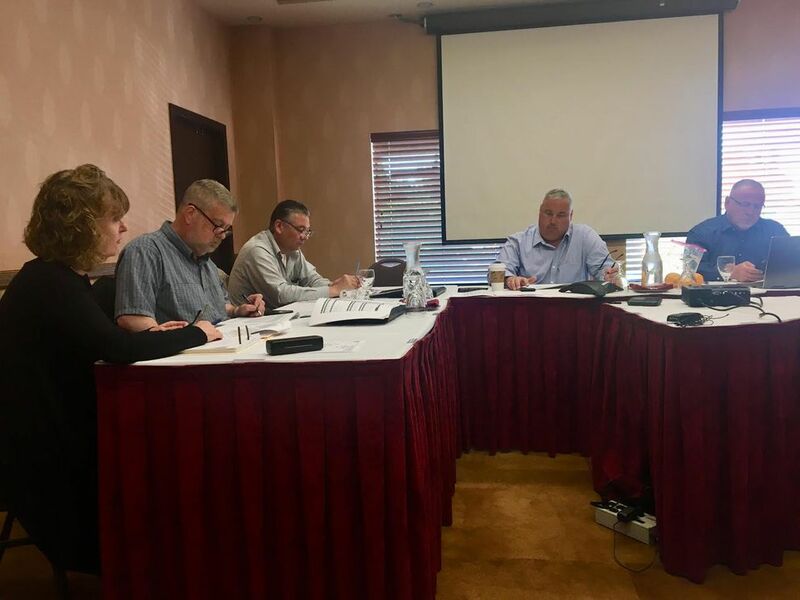 "I just think it is very important for the Iditarod to demonstrate that dog deaths are not acceptable," Stan Foo, on the Iditarod Trail Committee Board of Directors, said during the daylong meeting. Friday's decision came after an extended debate about the rule's wording, with some board members concerned that some dog deaths are unpreventable and mushers should not be penalized for that. Others said the race needed to take a hard stand against any dogs dying on the trail — period. The change was one of several approved by the Iditarod board at its meeting in Anchorage, less than a month before sign-ups begin for the 2019 race. — Reducing the number of dogs a musher can start the Iditarod with from 16 to 14. — Adopting kennel standards previously developed by Mush with P.R.I.D.E., founded in 1991 by a group of mushers. — Requiring mushers to sign a form saying they meet those standards. If the race organization receives a credible complaint about a musher's kennel, it may inspect that kennel, the board said. — All dog deaths will be reviewed within 30 days of the end of the race by a three-person dog care panel. The board will establish the panel before the race start. — Increasing the size of the Iditarod board to 12, 11 of them voting members. As of Friday, there were nine seats filled on the board. — The 12th board member, the musher representative, will serve in an advisory role and will no longer have a vote. — The board put in place term limits. Board members can serve up to three, three-year terms. The changes follow a controversial 2017 for the Iditarod, including four dog deaths during that year's race, the most since 2009, and dogs on a star musher's team failing a drug test. The year was capped by a report from a consultant that said the Iditarod governing board had so strained its relationship with mushers and sponsors that it threatened the survival of the historic event. Some of the changes Friday were in response to recommendations in that report. The Iditarod's chief veterinarian, Stuart Nelson, spoke to the board Friday about capping dog teams at 14. The suggested change came out of the Iditarod's rule committee, he said. He said he supported it because it could lead to fewer dogs left behind at checkpoints, which the Iditarod volunteers must care for and then transport back to Anchorage. "By the numbers, it looks like this would be a significant advantage to the overall race function and cost," Nelson said. "The fewer dogs you have to focus on, the greater potential there is for improving the level of care. We have a very good program. It's just a numbers game." 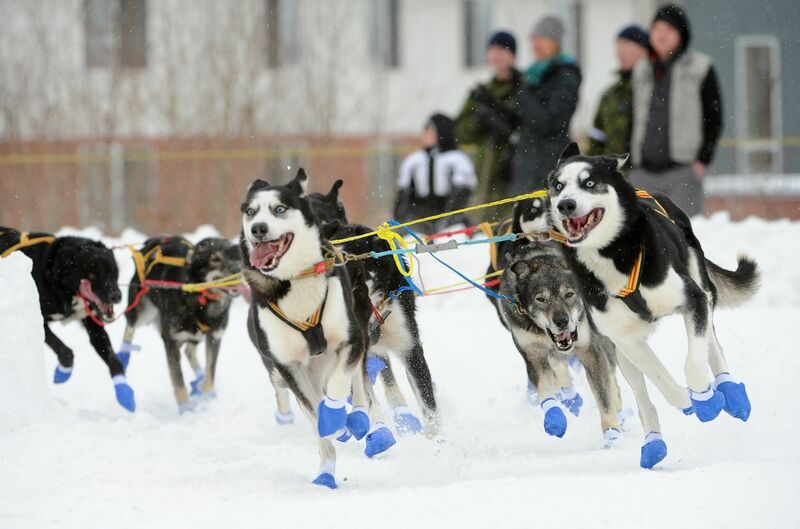 Current rules allow racers to reach Nome with as few as five dogs, leaving dropped dogs with race volunteers at checkpoints along the way. Mushers choose to leave dogs behind for a variety of reasons, including injury, illness or as part of their strategy. Wade Marrs, the musher representative on the Iditarod board, cast the only dissenting vote Friday on the team-size rule. He said he didn't believe that reducing the number of dogs on a team would lead to a significant drop in the number of dogs mushers leave at checkpoints. "More dogs pulling, more power," he said. "You don't wear them out as quickly." Of the 67 mushers who started the 2018 Iditarod, just five left the starting line in Willow with 14 dogs and three with 15 dogs. The rest had 16, including Marrs. The Iditarod board grappled with how to phrase new language to the race's expired dog rule Friday. The board first voted on wording that said if a dog died during the race, that musher's race would also end. But that no-tolerance policy failed in a 3-3 vote. Board members Foo, Danny Seybert and John Handeland voted in favor of the rule change. Board members Marrs, Mike Owens and Andy Baker, board president, opposed it. "There's a presumption of innocence in this country of ours and this removes that totally," Owens told the board. The board ultimately settled on this rule change, as suggested by the rules committee: "Any dog death that occurs during the race results in immediate scratch or withdrawal, except only unless the death was caused solely by unforeseeable, external forces." Board members Foo, Seybert, Handeland and Owens voted in favor of the change. Baker and Marrs did not cast a vote, though Marrs later said he opposed the change. Some dog deaths are accidental and cannot be prevented, he said, and the musher should not be vilified for it. "Something unpreventable is going to get a consequence to it," he said. "It just doesn't make any sense." In 1996, the Iditarod enacted a rule that required a musher be withdrawn in the event of a dog death. The rule was immediately put to the test when a dog named Ariel on the team of five-time champion Rick Swenson, now an Iditarod board member, became tangled in overflow and died between Yentna and Skwentna. An appeals board ruled that the death was not the fault of the musher. Swenson -– who had never before lost a dog in 20 Iditarods –- threatened to sue the trail committee, according to news reports at the time. Race officials rewrote the automatic disqualification rule. Some board members said Friday that they worried the new rule language was too ambiguous, and left too much up to interpretation. "I think it's an improvement, but I think it still needs to be cleaned up," Foo said. "It's a step in the right direction." 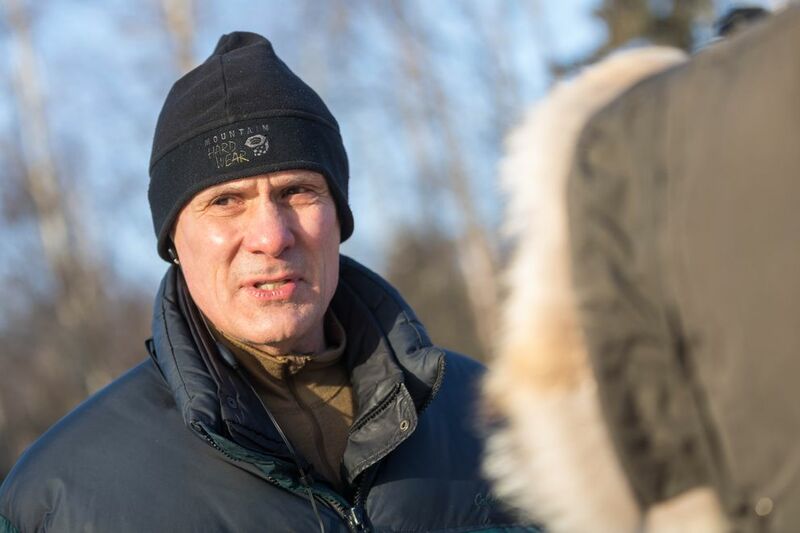 Ultimately, Mark Nordman, the race marshal, will decide whether or not a dog's death will lead to that musher's race ending, said an Iditarod spokesman. Nelson said Friday that he didn't believe the revised rule would be too tough to judge. "It's either something out of the blue that struck them," he said. "Or it's something else." He said he could think of just two instances over the years that involved dog deaths that were "caused solely by unforeseeable, external forces": When a drunken snowmachiner crashed into four-time Iditarod champion Jeff King's team on the frozen Yukon River, killing 3-year-old Nash, in 2016. And, in 1985, when a moose stomped the team of late four-time Iditarod champion Susan Butcher. King said in an interview Saturday that he supported the revised rule on dog deaths. "Nothing seems as basic to me as having the dogs alive at the end of the race, that started the race," King said. "We need to raise the bar." He said he would have supported the stronger, zero-tolerance policy: If a dog dies, that musher and the sled dog team go home. Under a rule like that, King himself might have been kicked out of the 2016 Iditarod. People tell him the death of his dog Nash wasn't his fault, but he disagrees, he told the board Friday. Maybe he could have done more. "I pack iron now and I have more lights," he said. "I will never turn around quicker than I didn't turn around that night." He said he felt the new rule change was a "great step in the right direction," and he hoped the wording would not cause problems for the race organization again, as it did more than 20 years ago. Karen Ramstead, a longtime Iditarod musher turned race judge, posted a blog entry Saturday about the revised rule. During the 2007 Iditarod, her dog named Snickers died of a gastric ulcer and she dropped out of the race. 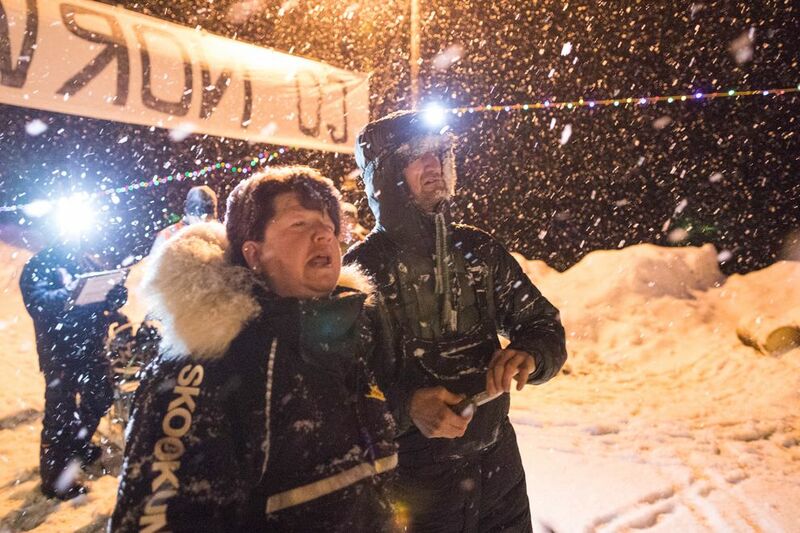 She wrote that she remembers the fear and the sorrow from that night, but also the support from so many, including community members, veterinarians, race officials, other mushers and fans. She fears the new rule will take some of that support away. "Now, I fear, when the worst happens, there will be a black cloud of suspicion over a musher — the suggestion that you did do something wrong and have been judged and penalized for it without your story even being heard," she wrote. "I believe there are pros and cons to this new rule — but, in my mind, what it boils down to is whether you believe most mushers care about their dogs or whether most mushers don't," Ramstead wrote. "I believe that most mushers care about their dogs." The Iditarod board will meet again June 30, the first day of sign-ups for the 2019 race. The board is expected to fill five vacant seats by that date, according to a statement late Friday from the race organization. The statement did not say which board members would leave their positions due to the changes approved Friday. Given the changes, Foo said, he expected an entirely new board in about two years.